Special Edition in deep purple with metallic sparkles. 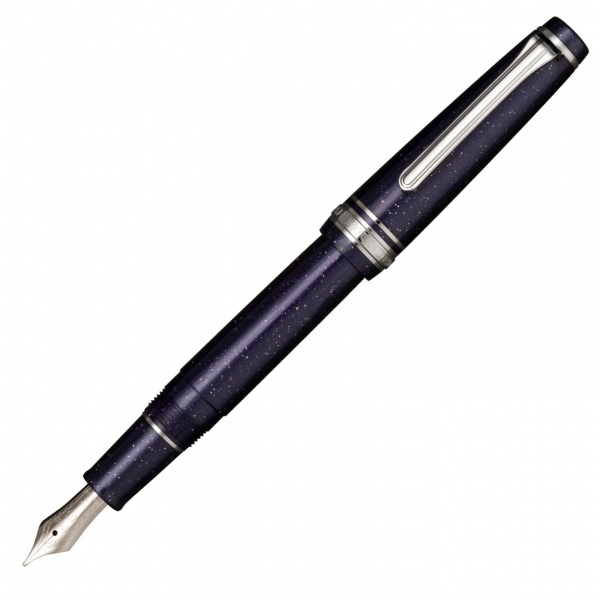 A smaller version of the Professional Gear fountain pen with 14k gold nib. Also known as the "Professional Gear Slim". Please note that Sailor nibs are a finer than on most European-made pens. Therefore, if you want a fine point order a medium etc. Converter filling mechanism (supplied).